Thank you for your question. I'm afraid that we don't stock a fuser unit for that machine. The Bizhub C253 multi-purpose printer is another one of Konica Minolta's well researched and manufactured pieces of technology. For over one hundred years, Konica Minolta has been producing technology of the highest caliber, from some of the original colour cameras to the first generation of fax machines. Their C253 is their 'middle of the road' printer in their series of medium to heavy volume printers. It is the perfect alternative for a company that needs quality prints and a ton of features, without the unnecessary volume and capacity. 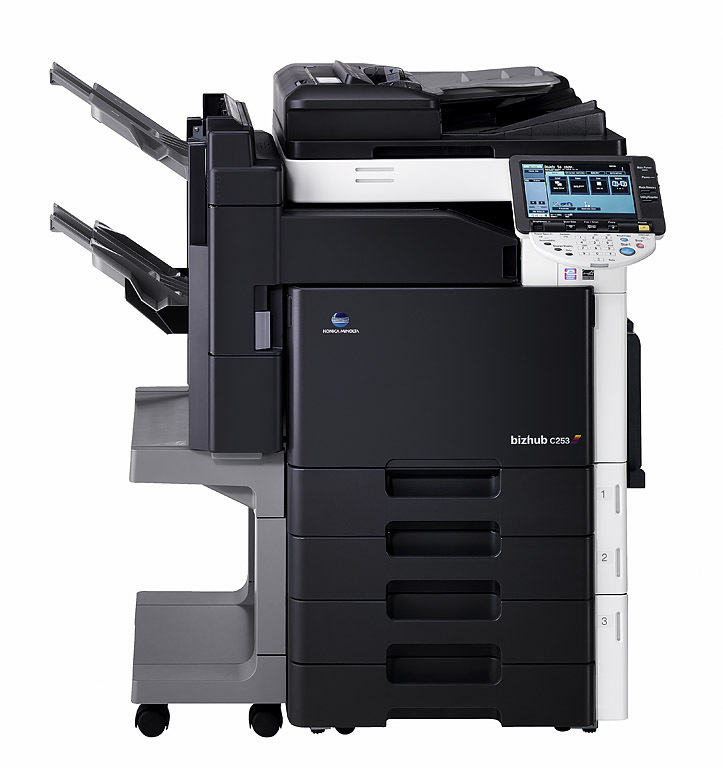 If nothing else, Konica Minolta knows how to make sleek and attractive multi-purpose printers. For the amount of features that the Bizhub C253 contains, it has a very small footprint at just under 100 cm across. Along the top is the scanning flatbed, the fax input, and the vibrant touch screen and controls. It uses Simitri HD Colour Polymerised Konica Minolta C253 toner cartridges which and can be slid into pull out drawers along the bottom. The paper tray and other internals can be accessed through these same series of hatches. An optional expansion along the left side of the machine extends the length out 30 cm for sorting, stapling, and double-sided prints. The colour prints on the Bizhub C253 are beyond comparison. The Fiery Image Controller option along with the Simitri HD Colour Polymerised Konica Minolta C253 toner develops some of the most well-defined and cleanest colour jobs possible. Just as with the other models in this line of printers, the C253 can scan up to 70 unique pages per minute and then send them to multiple locations simultaneously. Surprisingly, even with this quality the cost per page is generally cheaper compared to similar models. Unfortunately, the Bizhub C253 tops out at 25 pages per minute and this can cause serious backup in an office that requires high volume jobs. The max paper capacity is also on the low end with only 3,650 pieces sitting in the paper tray. Another problems comes down to the first page speed. While other companies such as Canon have gotten the first page speed down to 2-5 seconds, the C253 can take upwards of 17 seconds before the first colour print is produced.